Q1. How to use the od command? Q2. How to make od skip bytes? Q3. How to limit output bytes per line? Q4. How to make od output duplicates? Q5. How to display byte offsets? Q6. How to limit od's output to set number of bytes? 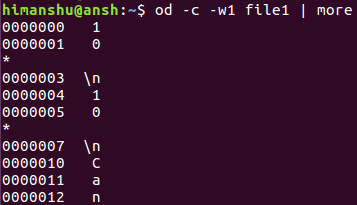 There may be times when while working on the Linux command line, you might want to display/convert content in a file in/to a form other than its original form, like decimal or octal. 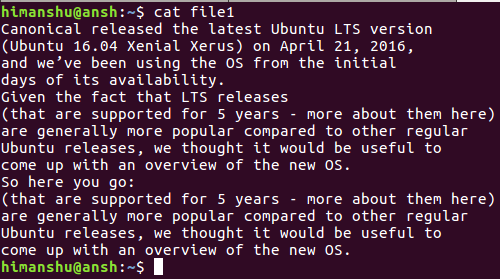 Gladly, there's an inbuilt command line tool that you can use in situations like these. It's called od, and in this tutorial, we will discuss the basics of this tool using some easy to understand examples. 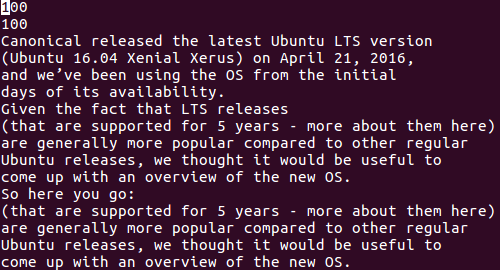 Please note that all examples discussed here have been tested on Ubuntu 16.04 LTS. Similarly, there are options to display the input in character, floating, and integer formats as well. 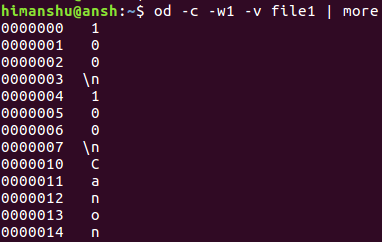 If you want od to skip some initial bytes, then you can do that by passing the number to the -j command line option. 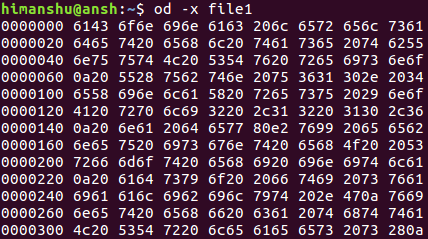 By default, the od command produces 32 bytes per output line. However, if you want, you can customize this number using the -w option. 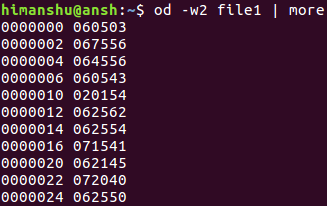 Then by default, od produces * in output for duplicates. However, if you want, you can change this behavior, something which you can do by using the -v command line option. Byte offsets can be displayed using the -A command line option. You need to specify the format in which you want to see the offset - x for hexadecimal, o for octal, and d for decimal. To limit the overall output to a set number of bytes, use the -N option. So you can see the overall output got curtailed. The OD command offers a lot of features in form of command line options. We've discussed some major ones here. Once you are done practicing these, head to the tool's man page to learn more about it.